Are you an expert in the music industry? Do you have a lot to say but lack the ability to reach a mass audience? Do you want to write for a real News agency? Then look no further. We are also looking for hard-hitting News topics! Coverage on the Occupy movement and any Breaking News. We publish original content in a wide variety of topics. We will accept most anything that is topical, interesting and most importantly, well-written. Articles must be in English and we encourage all writers to contribute at least once a month. •	Developing oneself into an expert in your own field and helping you further establish your online brand. •	Gaining visibility of your personal brand and writing samples, since all articles appear on Indie Music News’s RSS, Facebook and Twitter feeds. •	Working alongside fellow experts who share your interests, or may even inspire you to write about different topics. •	Writing for one of the most well-respected, well-known and most resourceful website looks great on your resume. •	Being able to grow as a writer, with the help of our dedicated team of professional and experienced editors. 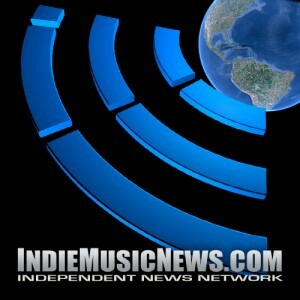 •	Receiving tips from our experienced editorial team and fellow writers from the INDIE MUSIC NEWS community. •	Articles must be original but can be posted elsewhere — for Indie Music News, well written and between 200 and 1,500 words. •	Articles should include videos, pictures or illustrations to ensure reader clarity and must be original and shared correctly We respect Copyrights! •	Articles must be non-promotional. However, in return we will provide you a 20 word promotional by-line and author page with an extended biography. •	Articles submissions are unpaid our goals are to raise funds and turn this into the real deal! We do cut checks to active writers when we have revenue to share. The business plan will include shares for all regular contributors. •	50/50 on all revenue earned by your pages and topics, our network includes over 100 music sites ready for managers. •	A lesson learned from a successful (or unsuccessful) band artists or promoters. •	A surprising result obtained from a new website or service. •	A case study for bands and musicians that have succeeded. •	A way to improve publicity for business, bands and musicians. Thank you for your interest and we look forward to publishing your articles! Submitting anonymously is fine, but please provide as much detail as possible so we can verify and cover the story. If you prefer for us to interview you, please specify that in the “PR” info area.